We are all a burden, including Fr. Mike, but we are burdens worth carrying. Many of us choose to deal with our problems on our own because we don’t want to bring our mess into other people’s lives. But the very nature of love is to sacrifice for others, and we cannot have any meaningful relationships in our lives if we do not share our burdens and bear some of the weight of other people’s burdens. 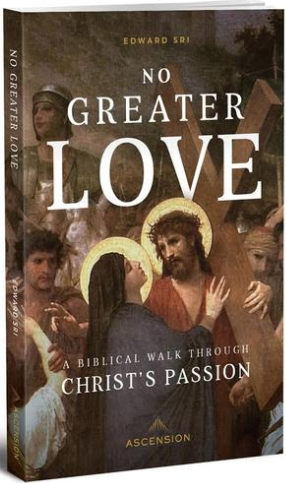 If you want to learn more about the nature of love, there’s no better place than No Greater Love: A Biblical Walk Through Christ’s Passion. Filmed on location in the Holy Land, No Greater Loveis a five-part video series and full-length book that reveals Christ’s amazing love for us. Best-selling author Edward Sri guides you through the last hours of Christ’s life in this biblical pilgrimage.